Today's economy isn't doing anyone any favors, and if you're one of the unfortunate folks to have been served a layoff notice, you might be facing a long haul when it comes to searching for another job. Is now the right moment to put your long-lingering business idea into practice? While times may be tight for many larger enterprises, in many cases smaller, more-nimble companies are better able to withstand market uncertainty and weather downturns. The best way to stick it to The Man? Start working for yourself by founding your own company. Working for yourself has some serious and obvious advantages over job hunting. Not only do you determine your own hours and decide where you set up your office, but you keep all the profits too. Starting your own business doesn't have to mean spending thousands of dollars on setup costs before you ever open your doors. Don't get suckered into spending loads of money on services that you don't need or that have far cheaper alternatives. Seriously: With $100, you can obtain everything you require to start just about any business online, with only minimal need to get up from your desk. Here's how to do it. The Web site for your new business has to reside somewhere. How do you pick a Web host that won't leave you high and dry? Most hosting plans for small companies offer similar features: basically unlimited storage space, support for common databases and publishing systems, and anywhere from a few gigabytes to 2 terabytes of data transfer per month. Expect to pay between $5 and $15 a month for the service, with a one- or two-year up-front contract. How to pick one from the dozens out there? Look for reviews from recent users, with a particular focus on how quickly the host resolves problems and how often the service goes down. If you expect sudden, big influxes of traffic due to promotions or Digg-like flooding, you'll want to ensure that the host can handle it. Ask about these issues if the company doesn't have written policies. 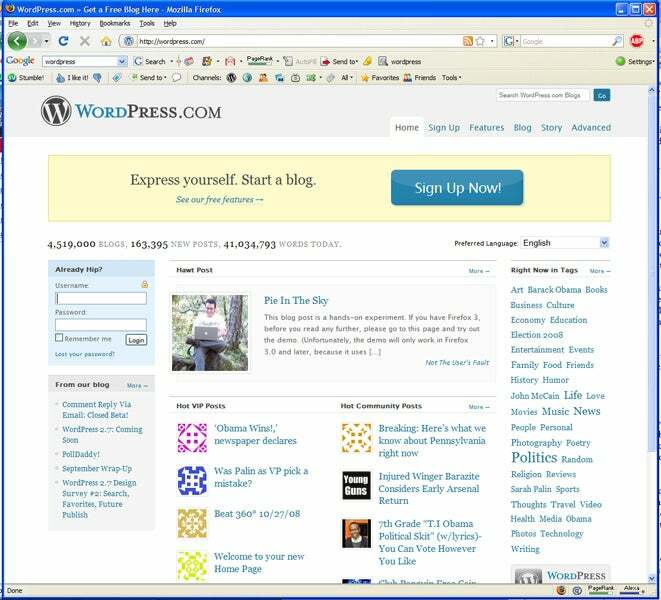 If your business is blog-centric, you can get started for free with a hosted service such as one from WordPress. You can always move to your own Web host later when you outgrow it or are ready for more. Numerous Web sites, such as Logo Ease and LogoMaker, will design a free logo for you based on options you set via a Web interface. The quality varies, but generally you can get the logo for free for online use. The services make money if you want to download the logo in EPS format, which is more suitable for printing on T-shirts and coffee mugs. A Web search for "free logo" will turn up dozens of additional alternatives. Another, possibly better, approach is to seek out an independent designer to work on your logo. If you don't need anything fancy, you can find someone to do the job for $50 or less through a simple Craigslist ad. The advantage is that you get to work with a live person (with genuine artistic skills) to create something unique for you rather than a cold, computer-generated logo. As for Web design, you're unlikely to encounter someone who can create an original site for you for a fee within our $100 budget range. If you can't afford a real designer from the start, begin with a simple layout and customize it as you go--but try to avoid making incremental changes every day or week. When it's time to redesign, do all the work at once to avoid confusing and alienating your readers for a protracted time. If you're planning to sell a lot of physical goods, you'll need a service that can handle e-commerce transactions, process credit cards, and provide security for both. Setting all of this up on your own server is an expensive, time-consuming task laden with security risks. It's best to outsource the functions to a hosted service targeted at merchants. Such services can be surprisingly affordable. Yahoo's popular Merchant Solutions start at $40 a month. 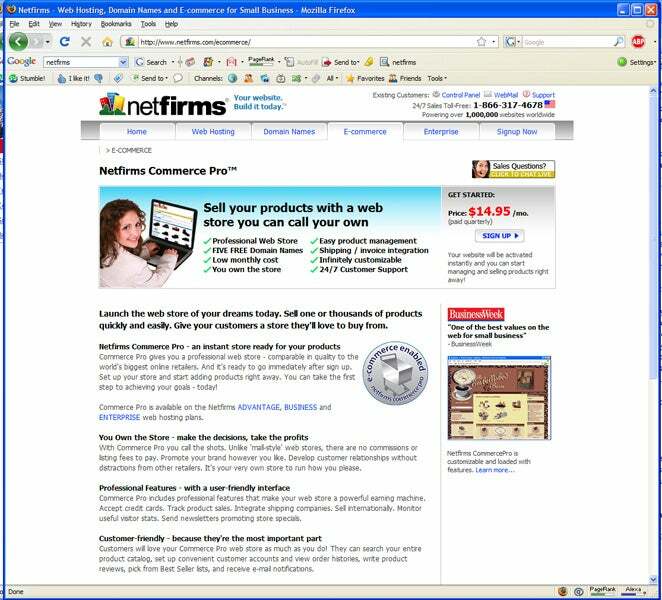 E-commerce sites at Netfirms start at a mere $15 a month. You can customize both extensively to match your desired look and feel. 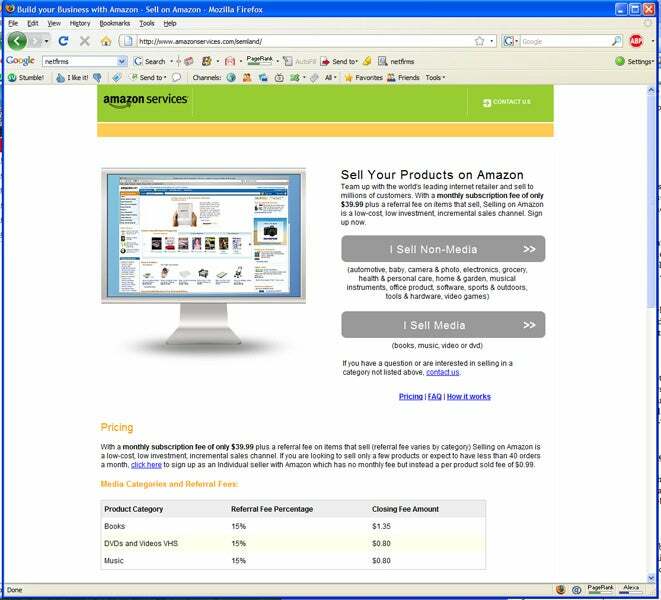 Thousands of merchants use Amazon to promote their goods, giving Amazon a cut when items sell. The big advantage: You don't need a Web site at all to sell there. You can sell just about anything that Amazon stocks by registering as a merchant, finding the product page for the item you're selling, and clicking Sell yours here. Merchants must pay $40 a month, plus a sliding scale of closing fees (6 to 20 percent). Individual sellers can sign up to sell with no monthly fees but must pay an extra 99 cent closing fee. You'll find similar services (though less of a selection) at Half.com (part of eBay), and of course you can always try your hand at dealing on eBay itself, which is still a popular venue for selling new and used merchandise, though one drowning in noise. Unless you're selling physical merchandise, try adding Google AdSense ads to your site. You might pull in only a few dollars a month while your site is small, but that's more than nothing--plus, it opens the door for bigger ad opportunities down the road. How do one-person businesses get big? They're always promoting themselves--always. Add your URL to your e-mail signature. Create a Facebook group for your business. Write a humorous blog about your product or industry (check out Chris Lindland's Cordarounds blog for ideas). Submit your gems to Digg, Reddit, and StumbleUpon. Comment on online stories in your field and cast yourself as an expert. Meet and greet at trade shows. Make T-shirts, stickers, and business cards. Give away products to charity events in exchange for an ad. Hold contests for freebies and make people work for the prizes. Above all: Don't let anyone forget about your new enterprise. Unless you intend to receive all incoming payments under your real, legal name (as, say, with a personal consultancy) you need a fictitious business name for your company, also known as a DBA ("doing business as"). You need one because of your bank's policies: If you receive a check for Acme Widgets, you won't be able to cash it unless you can prove that Acme is really you. To make that connection, get a DBA. This is one of the few actions described in this article that you often can't do on the Web. The specifics of obtaining a fictitious business name vary from city to city and county to county, so you'll need to check with your municipality. In my city, you must make filings in person at the city hall (after you've ensured that no other businesses have the same name), and you must place a notice in a paper of record indicating that you've opened up shop. 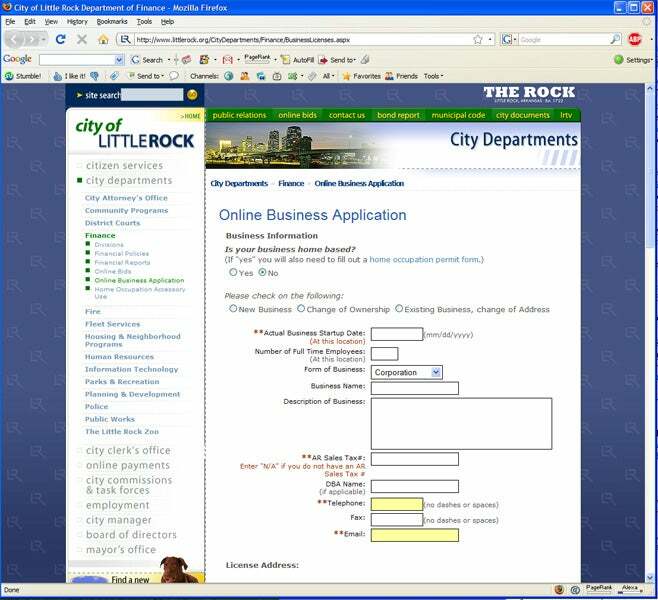 In some cities--Little Rock, Arkansas, for example--you can do the whole thing online. Some regions require county filings, too. Check with your official city and county Web sites for specific instructions. Fees will range from nothing to about $50 to have any DBA and relevant licensing (see below) taken care of. Just make certain you go directly to the municipality to do the task: Intermediaries claiming to file forms on your behalf are often expensive scams. Again, this is a locale-specific issue. Some cities make you file for a special license if you're going to be working from home (the city doesn't want you snarling traffic if you open a cookie shop in your kitchen, for example). Others require certain types of businesses to file additional paperwork to get a license. Again, the rules vary dramatically from place to place, but usually you can take care of it all while you're filing for a DBA (and, in fact, usually the city won't give you a DBA unless you've handled any other relevant licensing issues already). Also, if you're selling physical goods, you'll have to collect sales taxes if your state requires it (as most do). Check your state's Web site to learn about collection and filing procedures. Usually you won't have to pay any up-front fee.